The anti-gay activists are the ones being charged, but life hasn’t gotten much better for LGBT Kyrgyz. While Kyrgyzstan has the most vibrant civil society in the region, including several groups dedicated to LGBT rights, over the past year the situation has gotten worse. The backlash, Wilkinson said, was “particularly ferocious.” The government pushed back, the Acting Grand Mufti issued a fatwah against homosexuality and in March, a draft law, modeled on a 2012 Russian law that would outlaw propaganda promoting “non-traditional” relations, was introduced. While the law remains a draft, it passed a first reading in February. The law, and the “hooligans” who crashed the Bishkek event, point to a nexus of domestic sentiments–anti-Westernism, nationalism, populism–intensified by economic stagnation and pressure from Russia. Kyrk Choro illustrates the combination of these themes. The group named themselves after the forty warrior companions of Manas. Manas is the hero of the Kyrgyz epic–which in written form is twenty times the length of Homer’s Iliad and Odyssey combined. According to the oral epic, Manas united forty tribes (hence the forty-pointed star on the Kyrgyz flag) against their enemies–the Uighurs–and thus the Kyrgyz state was born. Kyrk Choro says it has 5,000 members, and according to Eurasianet, is one of a number of nationalist movements to gain traction after ethnic violence erupted in 2010 during the second revolution. Kyrk Choro made headlines in February when members raided a karaoke club, lined women up and videotaped them–accusing them of prostitution and the Chinese men who ran the business of “abetting vice.” At the time, the group said it was acting with the support of the authorities. Wilkinson linked the noticeable rise in nationalism to the anti-gay movement. For nationalists, meanwhile, LGBT people are the ultimate “other” for their articulation of Kyrgyz national identity, which is Muslim, heteronormative and non-Western. For both the government and nationalists, this scapegoating is particularly effective because they can be seen to be taking action against LGBT people and those associated with them (that is, Western countries and donors), thus providing an unusually effective way to boost their legitimacy with many sections of the electorate by demonstrating strong leadership to protect Kyrgyzstan’s sovereignty and morality. 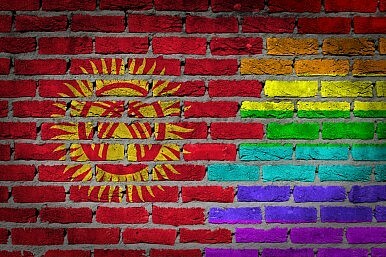 The anti-gay activists, if convicted, could serve up to five years for “hooliganism,” but it does not necessarily mean the situation for Kyrgyzstan’s LGBT community will improve. For that, we’ll have to watch what happens to the draft law.